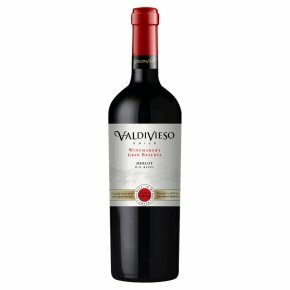 Wine of Chile.The Winemaker Gran Reserva wines are skillfully blended from select grapes grown in specific premium valleys. These valleys reflect the true expression of Chile's winemaking history. Varietal: Merlot, D.O. Valle del Rapel. Valley: The Rapel Valley has an ideal climate for creating wines of complexity and structure. Harvest: Allowing for wines of complexity and structure. Winemaking: Grapes handpicked in April. Classic fermentation techniques and oak ageing. Nose: Intense up-front fruit with plum and ripe berry notes. Palate: Smooth and silky with a hint of sweet spices in the finish. Service: Poultry, lean meats, pasta dishes and salads.